But now I drink at LEAST 2 cups a day! And recipes like this one make it such a delicious, yet healthy TREAT! (natural) sweetener of choice – I personally use evaporated cane juice but you can use honey, stevia, agave, etc. Okay, so first you heat up your water until just under, but not quite boiling. Pour into cup or mug. Steep your tea bags for at least 5 minutes (the longer the better, though) to bring out the flavor and beneficial qualities of the herbs. Add the other ingredients, stir well and enjoy! 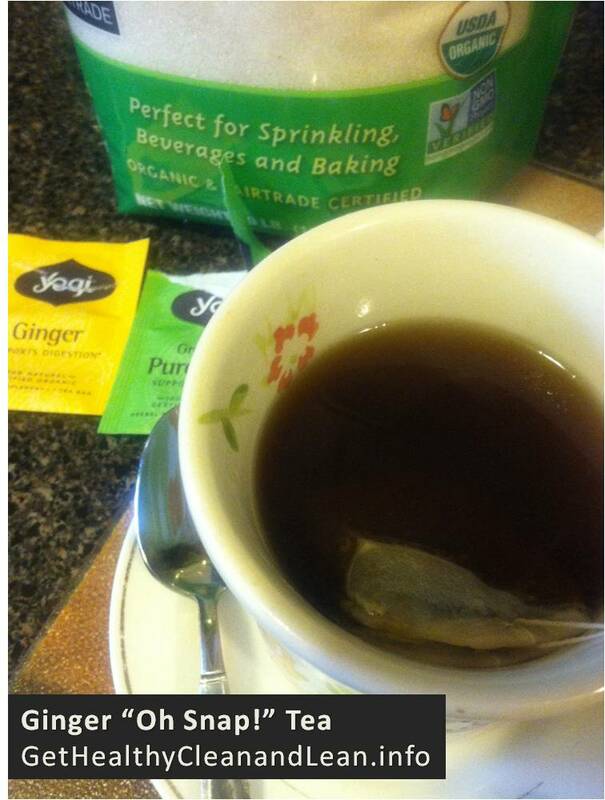 This tea is kinda spicy once the ginger kicks in, but it’s SO good and it’s like drinking a… ginger snap! Now this is totally optional, but I happen to sometimes like my tea with cream. So, I found a coconut milk creamer at my local Fred Meyer store and it’s AWESOME!